A distributed ledger is a database that is shared among a network in multiple geographical locations. The definition of a ledger has traditionally meant a collection of financial accounts. Now with the invention of a distributed ledger this has taken on a new form. Ledgers have existed for thousands of years. In the beginning, these records may have been written in clay, and over time these have progressed to paper, and then into the digital realm to the birth of distributed ledger technology (DLT). Distributed in this context means spread out globally and controlled by multiple parties. Therefore, a distributed ledger is a database that is held and updated by multiple individuals in different locations. The database is synchronized between the network to ensure accuracy. In the past, a ledger used to refer to financial records. With distributed ledger technology the scope of these databases has vastly increased. Now, a distributed ledger refers just to the database and does not provide any insight into the contents. The number of use cases of these revolutionary databases is sky high. What are the benefits of a distributed ledger? The main benefits of a distributed ledger are that it is highly secure, transparent, immutable and tamper proof, while entries in this database can occur without the need for third parties. These few things are extremely important. A distributed ledger, if set up correctly, is immutable. This means that once a record has been written onto this ledger it cannot be rectified by another party. Therefore, the data is 100% tamper proof as long as the ledger remains distributed. Operation without the input of third party isn’t always necessary with DLT, but in some use cases it can be a huge bonus. For example, in the supply chain industry, sensors can directly write results to the blockchain without the requirement for a third party, which saves a lot of time, money and effort. A distributed ledger is, by its very nature, decentralized. This adds a layer of security because there is no centralized entity to target with malicious action. The database is spread out across the globe, so it cannot be attacked. Transparency is also viewed as a benefit of DLT. A distributed ledger can allow all the information that is stored to be easily and freely viewable, which can add a huge amount of desired transparency to a variety of industries. How does a distributed ledger work? A distributed ledger database is held, controlled and updated by individuals known as nodes. 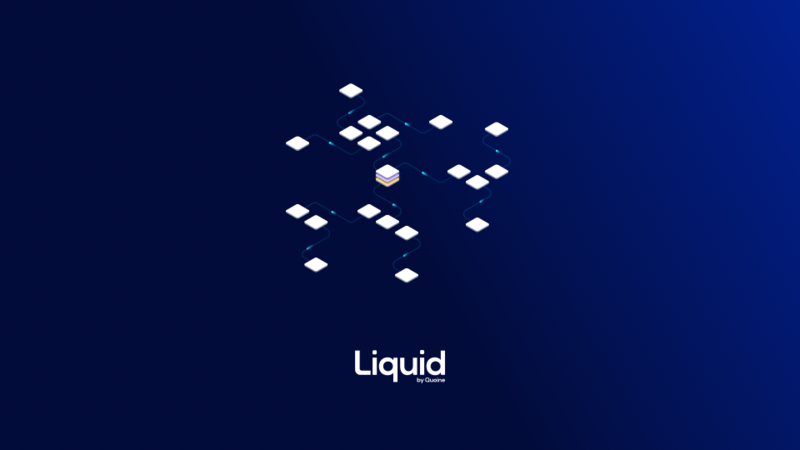 Each node independently constructs the database by processing every transaction that occurs on the network and creating its own conclusion on the progression of the database. All of the nodes then vote on the changes to the database based on the transaction, and when the majority agree on the new transaction it is accepted onto the database. All of the nodes then update their version of the database so they will all be the same. The transaction is written into a new block on the blockchain. The majority has to be greater than 51% of the nodes and there is no central entity that has overruling power of the input into the database. Nodes are also known as "miners" in the case of Proof-of-Work (PoW) blockchains. Miners receive a reward when they successfully put transactions into a new block. Being a miner requires dedicated computer power. Miners must work to calculate the cryptographic hash for the new block. The first miner that manages to find the correct hash is the successful miner who gains the reward. The more computational power you have dedicated to finding this hash, the more successful you will be as a miner. As mining progresses, it becomes more difficult. After each successful block is generated, the difficulty of finding the next hash scales. The aim is to ensure the block generation speed remains constant. Now that mining has grown in popularity the competition is fierce. New miners must spend more than $1,000 to create a rig dedicated to mining Bitcoin if they hope to turn a profit. For other smaller cryptocurrencies, competition is lower, but is also increasing. Miners must also factor in the large electricity cost that comes from running a powerful machine 24/7. The nature of the distributed ledger means that it can be applied to many different industries, and in a lot of cases it could be used to improve existing processes. One of the most well known use cases is in the financial sector. Cryptocurrency and distributed ledger technology can be utilized to improve aspects of finance, such as cross border payments and allowing transactions to occur without the need for a third-party mediator. Peer-to-peer lending is another use case that can use smart contracts to facilitate this. A distributed Ledger could be used for transparent and fair voting. Votes can be logged and checked securely. DLT can also be used to prove ownership and legitimacy of a product. A product can be tagged from production, and from there when it changes hands legitimately the transaction can be logged on the ledger, allowing the rightful owner and the legitimacy of the product the be viewable. The food industry can utilise DLT. A chain can follow the path of the food from farm to shelf, which allows customers to view the origin of the food and ensure it is organic, for example. As a final example, DLT can be used in the supply chain sector to track goods. When goods change hands they can be scanned, which will write the transaction onto the ledger. Sensors also be put in place to monitor certain aspects, such as temperature or humidity. The ledger will be able to show that the correct levels were maintained throughout transport, and this will show that the product is useable. The most popular distributed ledger, without a doubt, is Bitcoin. Bitcoin is a peer-to-peer payment network that allows users to send non-reversible payment. Ethereum is a highly popular distributed ledger, which has became popular because developers can create their own applications on the Ethereum blockchain, and also because of the introduction of smart contracts. Ripple is an open-source distributed ledger that focuses on payments, specifically cross-border settlements. Ripple was designed for banks originally. Hyperledger is an open source, community driven entity that exists to progress blockchain technology advance cross-industry blockchains. Hyperledger is run by the Linux Foundation. It does not focus on cryptocurrency, but blockchain technology. Early into the life of Hyperledger there was some confusion around its existence. The foundation laid rumors to rest by assuring the community that the project will never build its own cryptocurrency. Hyperledger aims to express the revolutionary nature of blockchain technology and progress its development to help it disrupt major industries. Hyperledger focuses on the positives of the technology, such transparency, immutability, and security. The Linux Foundation wants to use Hyperledger to bring together developers that can help to build frameworks on the blockchain. Hyperledger has grown tremendously and now features a number of highly accomplished individuals. Using an Open Source approach to Hyperledger allows the transparency to expand outside of just the blockchain, increasing the longevity of development.